John “Spud” Milton returns for his second year at an elite all-boys school in Durban, South Africa, where apartheid is still ruling in 1991. Little has changed between the Crazy Eight- except of course that they are now seven. The Madness Continues is slightly less hectic than Spud, though there is still plenty to digest. 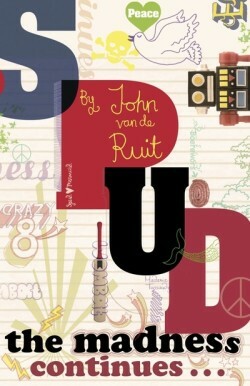 It seems John van de Ruit is saving up for a third book and possibly beyond! With the same nutty characters, outrageous humour, and casual violence, the title of this sequel is 100% accurate. Currently some of the funniest stuff in the YA book-o-sphere.